We are obviously not in Autumn, so why am I posting apple recipes? Well, I love apples! and this apple pie spice mix was one of the recipes on my homemade herb and spice blends challenge. But those are not the main reasons why I am posting the recipe now. Apple pie spice is obviously wonderful in apple pie but why stop there? 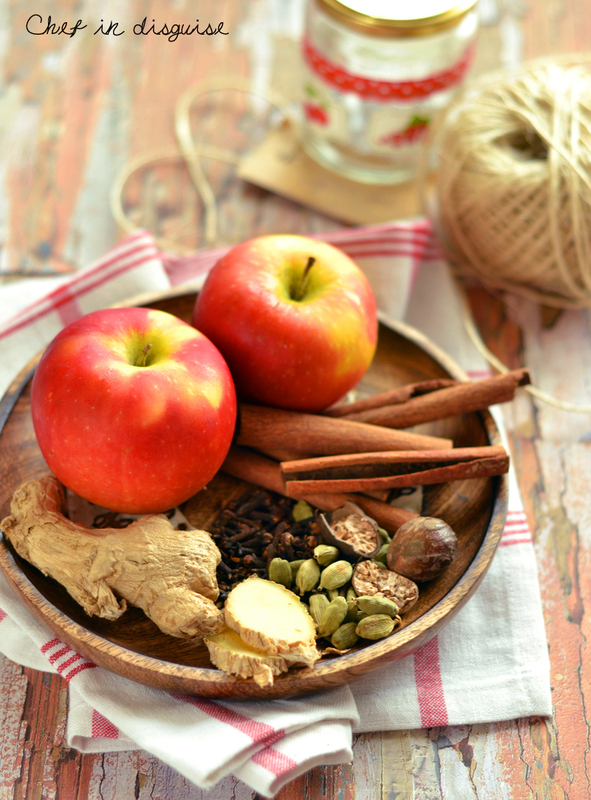 Posted in Daring cooks, How to and tagged apple, autumn, chef in disguise, fall, food photography, food styling, homemade, spice blends, spice mix. Bookmark the permalink. I am always fascinated by home-made spice mixes, but to confess my sins, I normally only make those for dry rubs for meat grilling. Never tried to make a sweet spice mix. of course, your choice of spices is simply perfect! This sounds lovely. Your picture of the apples and spices is beautiful! Lovely spice mixture. I know I’ll make apple pie this fall so I’ll save the recipe now. But it is apple season for me, perfect timing! Now I may not eat baked goods but I do love your simply made spice mix for which I can already see a multitude of uses! Fresh and home made it truly would go so well with that cup of tea!! That said I do not envy you your rising heat: our TV ‘weather’ does show temps worldwide and I now specifically wait for your numbers!! Apple spice mix sounds wonderful and it’s so true that you can use it in a myriad of wonderful things to make them even more wonderful! In North America, our cinnamon is really cassia bark which is similar to what you would call cinnamon but not exactly. I was fortunate enough to bring back some actual ground and bark cinnamon from Morocco but sadly I am now all out. I love all those spices! I experiment making recipes too, but never thought of homemade spice mix. My blog is Gardenofeatin2.